A discharge order in bankruptcy court relieves a debtor of any further legal obligation to certain creditors. 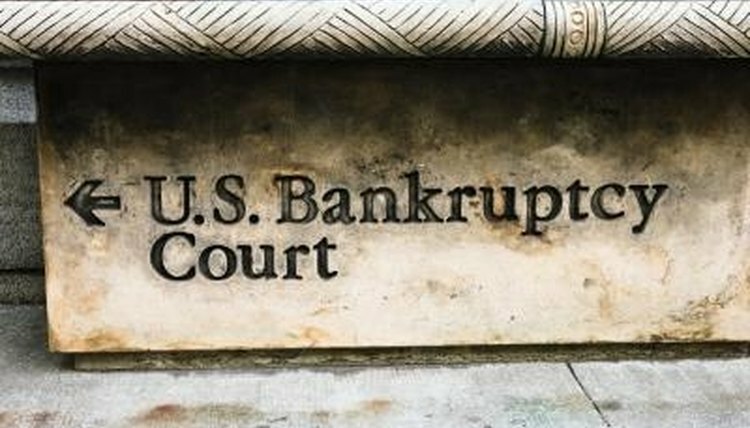 Once a discharge issues from the bankruptcy court, creditors covered by the order are forever prohibited from undertaking any type of collection activity against the debtor. Although there are minor variations from one bankruptcy court to another, discharge papers generally are nearly identical from jurisdiction to jurisdiction. "It appearing that the debtor is entitled to a discharge, IT IS ORDERED: The debtor is granted a discharge under section 727 of title 11, United States Code, (the Bankruptcy Code)." The judge presiding over the particular bankruptcy case signs and dates the order portion of the discharge papers. The moment the judge affixes her signature to the document, the debtor is permanently discharged or relieved of any further liability for the debts subject to the order. The bankruptcy discharge papers explain what debts actually are subject to discharge by order of the court. In a Chapter 7 bankruptcy, more of a debtor's obligations are subject to discharge provided they existed at the time the case commenced. According to the discharge papers, any debt acquired during the bankruptcy proceedings is not subject to discharge. The bankruptcy discharge papers list the types of debts that are not subject to discharge through the bankruptcy process. Examples of debts not discharged include most taxes, child support obligations, student loans, and criminal fines and restitution orders. As a debtor in bankruptcy, request what is known as a certified copy of the bankruptcy discharge order and papers. The original bankruptcy discharge papers remain on file with the bankruptcy court clerk. A certified copy is one that bears an official stamp and signature from the office of the bankruptcy court clerk attesting to the authenticity of the document. Broemmel, Mike. "What Do Bankruptcy Discharge Papers Look Like?" , https://legalbeagle.com/6241602-do-discharge-papers-look-like.html. Accessed 18 April 2019.